Pre Orders Start Feb 15 at Midnight! 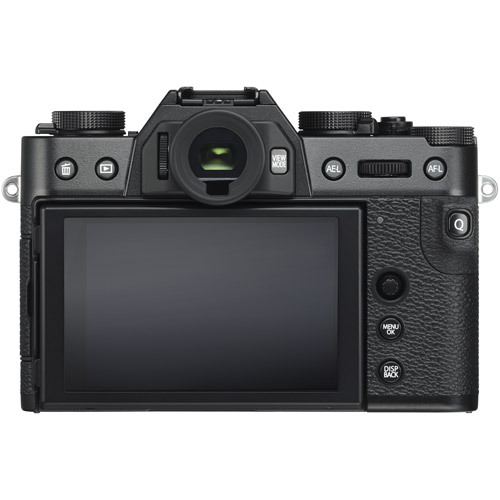 Following on with the tradition of the FUJIFILM X-T10 and FUJIFILM X-T20, the new FUJIFILM X-T30 offers the X Series’ signature dial-based manual operability and is equipped with the Auto Mode Selector lever that allows you to instantaneously switch to the fully-automatic shooting mode. This means the camera caters to a broad range of users from professional photographers to first-time beginners, delivering premium-quality pictures with ease. The compact and lightweight camera body that weighs just 383g offers outstanding basic performance, thanks to the use of the latest image sensor, including 26.1 megapixel resolution and fast high-performance AF, made possible with phase detection pixels placed across the entire frame (100%). 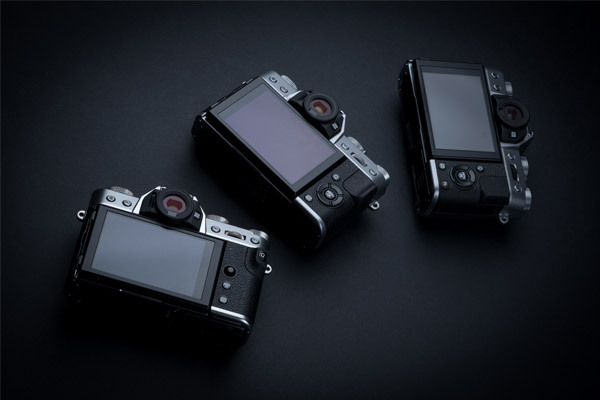 Other advanced features include the Focus Lever for shifting a focus point easily, intuitive operability of the touch-screen panel with dramatically improved response, and body design that promises holding stability even when the camera is mounted with a large lens. 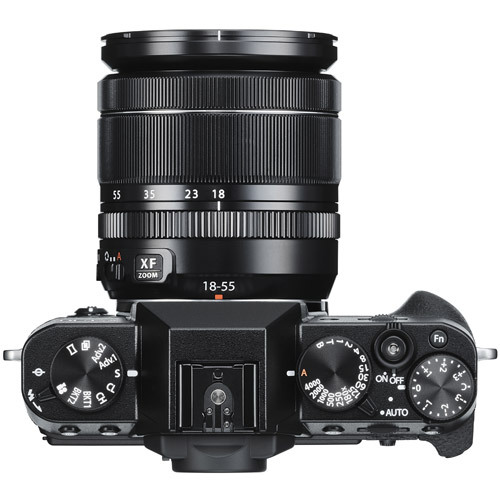 The AF algorithm has been further improved from that used in the FUJIFILM X-T3, released in 2018, so that this 4th generation model in the X Series can deliver even more advanced AF-tracking performance, as seen in enhanced accuracy in face / eye detection and the introduction of the Face Select function to provide priority auto-focus on a selected subject. The evolution of AF performance is evident not only with still photos but also during video filming. Improved exposure stability during face / eye AF and face recognition in the AF-C (continuous AF) mode adds to ease of use. Video performance itself has been improved to offer versatile applications, offering high-resolution audio recording and smooth 4K/30P video recording in Film Simulation modes, based on FUJIFILM’s colour reproduction technology. 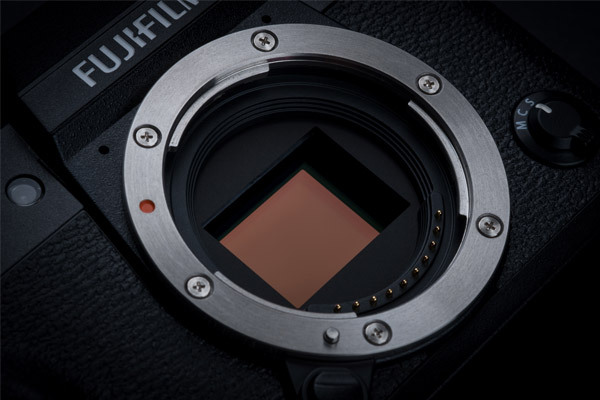 The FUJIFILM X-T30 takes advantage of four generations of X Series Imaging Sensors and image processors by featuring, the X-­Trans™ CMOS 4 sensor and X-Processor 4 image processing engine. This combination provides both incredible image quality and fast processing speed, resulting in quick responsive handling, all in a compact and lightweight body. 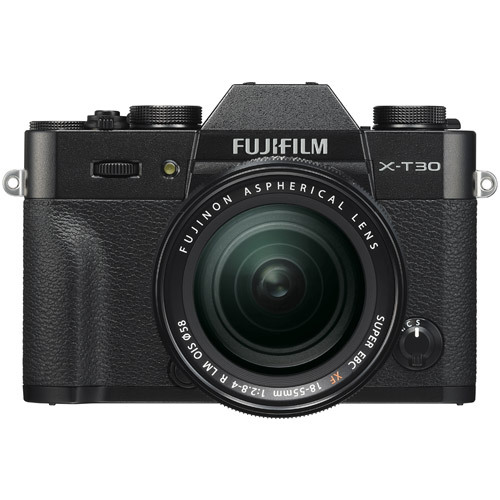 The FUJIFILM X-T30 features the X Series' Fourth Generation X Trans CMOS 4 Sensor. Boasting a resolution of 26.1MP, the sensor uses the unique X-Trans colour filter array to reduce moire and false colours, all without the need for an optical low pass filter. Additionally, its back-illuminated structure enhances image quality, while reducing noise levels and extending the native ISO to ISO160. The new X-Processor 4 has a quad-core design, which make use of the X-Trans CMOS 4 sensor's full potential. In fact, this combination is the driving force behind the camera's Enhanced Film Simulation Modes, it's advanced auto-focus tracking capability, and high-quality 4K/30P video capabilities. 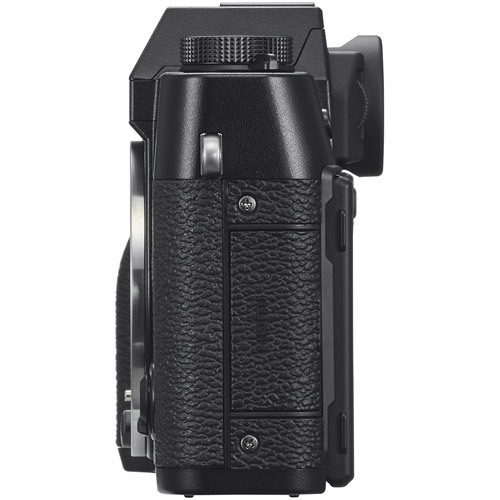 The FUJIFILM X-T30 features a 2.36-million-dot high resolution EVF with a magnification ratio of 0.62x. Offering a magnification ratio equivalent to DSLRs, the display has a lag time of just 0.005 seconds and has a refresh rate of 100fps, which allows for quick adjustments when subjects move unpredictably. 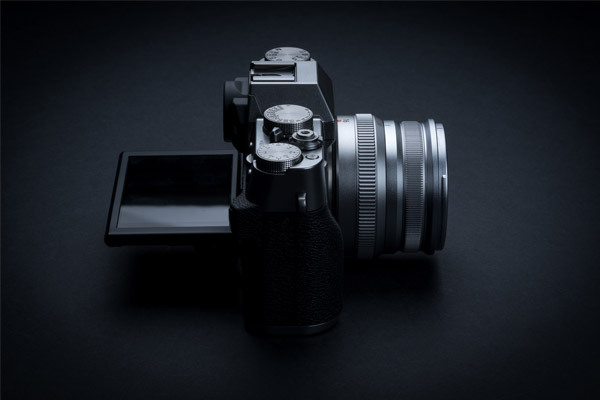 Unlike a DSLRs with optical viewfinders, the EVF helps content creators see exactly what the sensor will capture. This means film simulations and exposure effects can be shown in real-time, which ultimately assists in helping to achieve creative visions more easily. The FUJIFILM X-T30 uses an eight-direction lever instead of the traditional 4-way selector buttons. This makes the camera's compact body more stable during use and makes it easier to handle. The grip thickness has also been increased to provide more hand-held comfort. 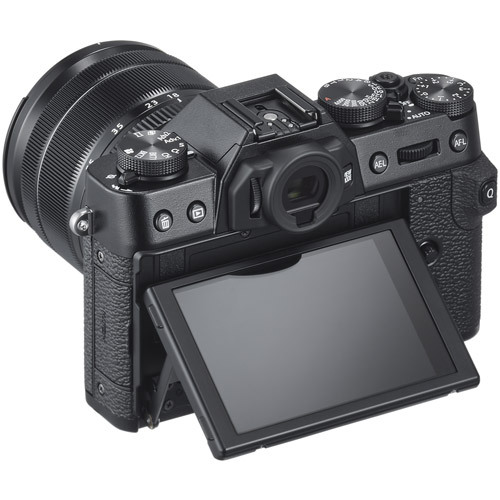 Equipped with a capacitive touchscreen panel, the FUJIFILM X-T30 allows touch-based controls during shooting, such as "Touch AF," "Touch Focus Area Selection," "Touch Shot" and "Touch Function". This capability means you can move your focus area faster and more intuitively than ever before or simply use a swipe motion to scroll through images when reviewing. 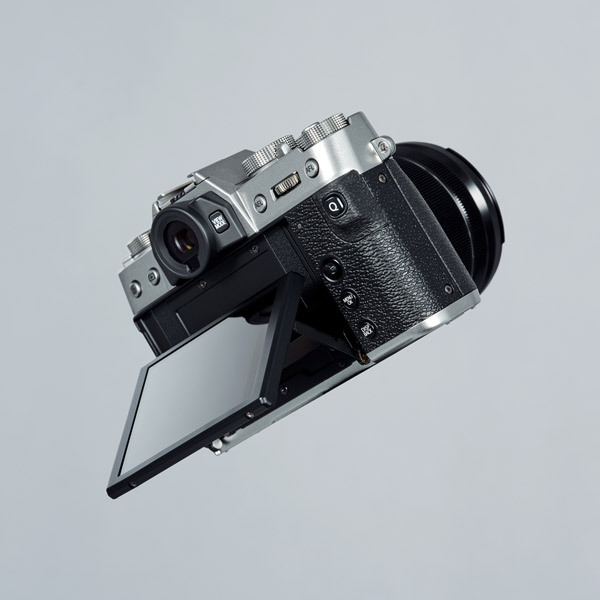 Every element of the camera's design has been made with the user in mind. 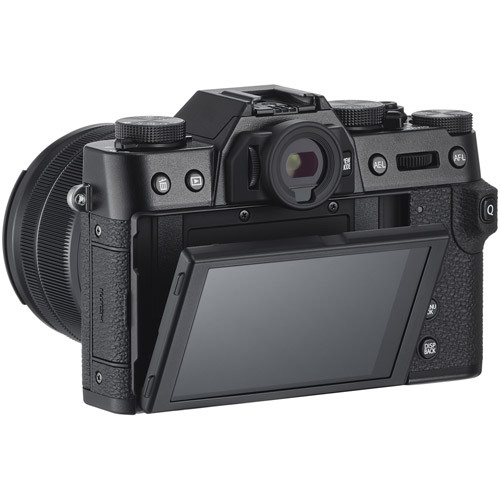 From the dial-based operation, to the compact, lightweight body with its convenient touch-screen and well-hidden built-in flash, the FUJIFILM X-T30 uses every opportunity in its construction to evoke a passion and desire to capture moments and immerse users into the world of content creation. The number of AF phase detection pixels in the sensor have been increased to 2.16 million and now cover the entire frame (approx. 100%). This enables fast and accurate auto-focusing. Additionally, The low-light threshold for phase detection AF has been also expanded from +0.5EV in previous-generation camera systems to -3.0EV. The FUJIFILM X-T30 can shoot continuously at up to 8 fps in full resolution when using the mechanical shutter. In Sports Finder Mode, the camera will capture 16.6 Mega-Pixel images with a 1.25x crop factor and use its electronic shutter. This makes it possible for the camera to have AF/ AE-tracking, blackout-free continuous shooting of up to 30fps, and silent mode. Compared to previous models, Face and Eye Detection have had their accuracy and performance doubled. This is especially true when tracking subjects from the side or when they are coming towards the camera. 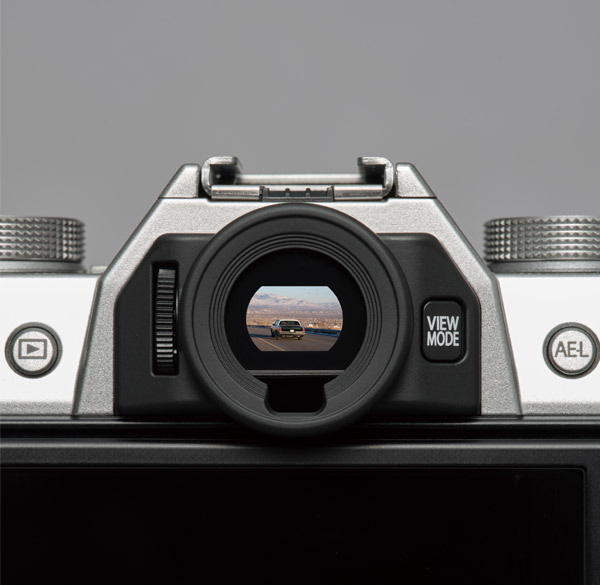 For portrait photographers using shallow depths of field, Eye-detection AF can be configured to priority focus on individual eyes, or on the eye closest to the camera. Eye-detection AF is also supported in AF-C mode, which will assist in providing accurate focus for moving subjects. Thanks to its advanced sensor and processor combination, the FUJIFILM X-T30 is capable of recording incredible 4K (3810x2160) video by down-sampling its 6K (6240x3510) capture. The camera also supports 4K DCI (17:9), an industry standard that gives videos an even more cinematic look. Finally, F-Log recording with 4:2:2 10-bit output can be captured through the HDMI port, giving professional filmmakers a wonderfully capable tool to use in achieving their creative visions. Face and Eye-Detection AF can be used when recording video by using the touchscreen panel or the Focus Lever. 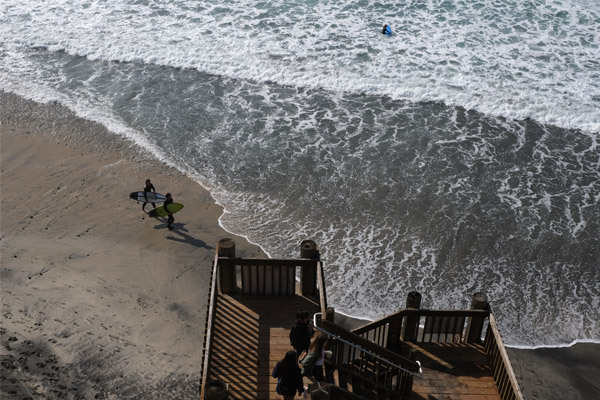 Film Simulations can also be used when capturing 4K video to creatively interpret any scene. For example, ETERNA is particularly suitable for video thanks to its subdued colours and rich shadows. ACROS delivers monochromatic video with fine textures and rich grains. CLASSIC CHROME creates a unique atmosphere, reminiscent of vintage reversal films, while scenes requiring high levels of saturation can benefit from using Velvia. Whichever simulation is chosen, it can be assured that FUJIFILM's colour processing engine will be there to deliver incredible results. This option adds an air of profound depth to pictures with subtle colours and muted tones. It is designed primarily to create a unique atmosphere, reminiscent of vintage reversal films. 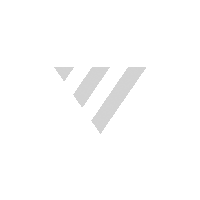 This is a standard option that caters to a variety of situations. It delivers radiant skin tones and vibrant colours in what FUJIFILM calls "memory colours," exactly as you remember them. This option is characterized with high saturation combined with memory colours. It is perfect for landscape and wildlife photographs with rich blues and vivid primary colours, or for night scenes thanks to its deep blacks. This option offers soft tones and high saturation at the same time, showcasing radiant skin tones and smooth gradation. It is ideal for outdoor portraits, when you want to ensure vibrant tones in the background. This is a monochrome option, designed in pursuit for fine textures, deep blacks and rich gradation. It offers the benefit of providing fine details at low ISOs and graininess at high ISOs. This option creates high-contrast portraits even in overcast outdoor conditions or indoor situations with flat lighting. It is characterized by natural skin tones, setting it apart from other options that provide memory colours. This option produces realistic and natural skin tones in portraits shot under controlled lighting. 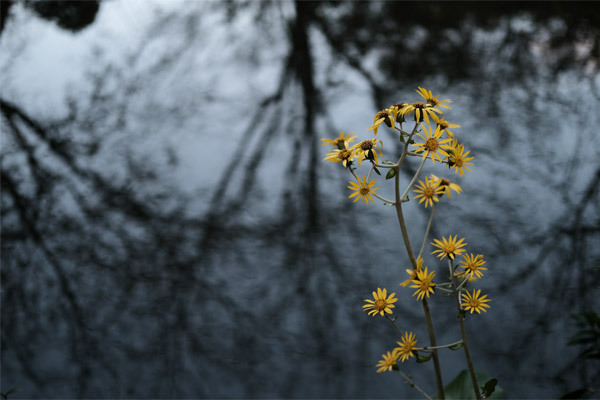 Its softer and gentler tones with low saturation create snapshots with a difference. This option is characterized with subdued colours and smooth halftones in shadows, creating the atmosphere of motion pictures. 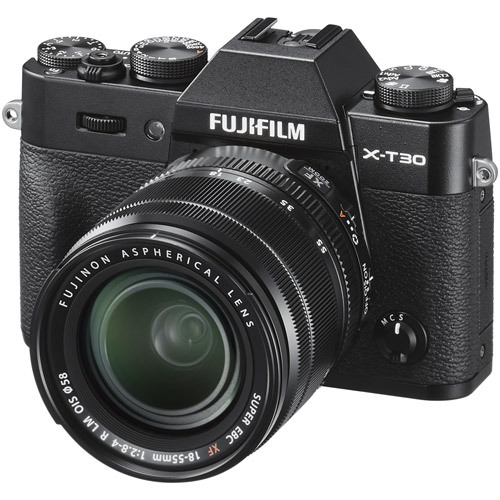 The FUJIFILM X-T30 offers various effects that can be combined with Film Simulation modes to enhance creativity. The Colour Chrome Effect assists in providing the ability to deepen colour saturation and colour detail in subjects with highly saturated colours, which can often be difficult to reproduce. The Monochrome Adjustment function can assist in producing warm and cool blacks in digital photos, which was once achieved in the dark room by using specific photographic papers and developers. 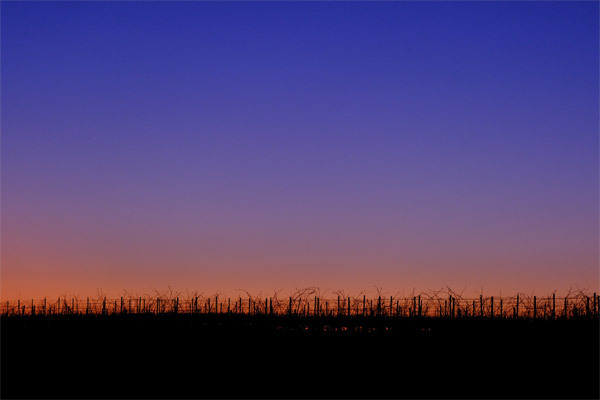 The Grain Effect adds graininess, typically seen in film-based pictures, to digital photos. This provides a film-like texture to a digital image captured on the camera. In addition to these effects, the camera also provides an ability to adjust highlight tones, shadow tones, sharpness, and other image properties. 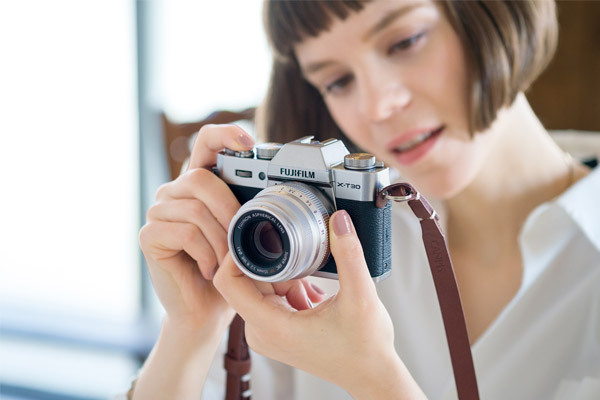 The FUJIFILM X-T30 can be paired with a smart device with Bluetooth® for always on connection*, enabling automatic transfer of pictures you take to share quickly on social media. The connection also enables other functions, such as remote shooting from a smartphone / computer, viewing of pictures taken on your device, and printing direct to an Instax printer.